Global Gold is a recently formed company whose express goal is to help individuals achieve financial freedom by being able to securely store precious metals offshore in Switzerland. The Global Gold program offers physically allocated gold, silver, platinum and palladium storage in ViaMat’s secure facility in Zurich, Switzerland. Because Global Gold is offering allocated storage of precious metals in your name, naturally there are some minimums and other considerations and costs involved. The Global Gold storage program is not necessarily designed for individuals with low net worth, yet it is not out of reach for people of somewhat moderate means. What you do get with Global Gold, probably more than anything else, is personal service and the ability to contact a real person, via phone or email, who knows you and will be dedicated to your satisfaction. While other methods of securely storing gold and other precious metals on an allocated basis exist, very few offer this personalized service and the “comfort factor” of having someone available at the other end of the phone. Offshore Gold Storage (and other precious metals) in a solid, politically stable, jurisdiction (Switzerland). Obviously for Swiss residents this is NOT the same situation. 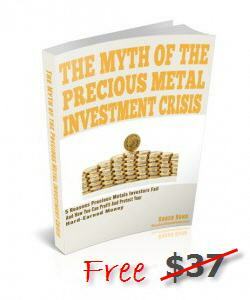 Allocated precious metals ownership. The specific coins or bars purchased are in YOUR NAME. Secure, fully insured, storage of your assets in ViaMat’s vaults. Audited Storage (at least annually by Ernst & Young). Ability to sell your metal and have proceeds wired to you anywhere in the world. A high level of personalized “Swiss Style” service. Access to Global Gold staff via telephone, fax, email and Skype. Reasonable prices for buying and selling precious metals. Limited, but adequate, selection of specific coins and bars. Storage fees that are not the lowest, but reasonable for Swiss service. Relatively high minimum investment, in increments according to the type/style metal you are buying and somewhat lower minimums for incremental additions to your holdings. VAT (value added tax) free. What Are The Minimums At Global Gold? The minimum to invest with Global Gold is clearly stated on their website, but not clearly explained. The initial investment is a minimum of CHF 50,000 (50,000 Swiss Francs). As of March 2012, that is about US$55,000. 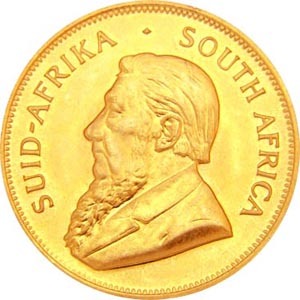 Here is the catch: If you intend to buy, say South African Krugerrands because of the low premium over the spot price of gold, you have to buy in increments of 10 Krugerrands. Other coins are similar. Therefore, you need to not only divide the minimum investment by the price of a Krugerrand, buy you then must round UP to the next increment of 10 coins. 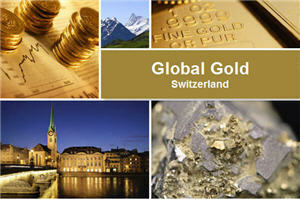 Should you choose to add to your offshore precious metals holdings at Global Gold, there is a minimum of CHF 20,000. Again, though, you must round up to the next increment of 10 coins in the case of Krugerrands. Thus it makes sense to ask the Global Gold representative you are working with what the increments of a particular coin or bar are in addition to the cost. Getting started at Global Gold is not necessarily quick or pain free. The first thing to do is to fully investigate their program at their website and make sure it is for you. Next, fill out the account application, and this is the more painful part. Not only will they require you to extensively prove who you are – especially if you carry a blue passport from the “land of the FREE and home of the brave” – but also clearly describe WHERE THE MONEY CAME FROM that you are investing! So if the source of funds is some inheritance from your great Aunt Edna, then be prepared to state how Aunt Edna came up with the money herself! (I not telling you to lie, but if you DON’T know how Edna got it, then you might want to use “other” funds and use Edna’s money for another purpose). Unfortunately, living & working in Switzerland does not put them out of reach of the LOOOONG arm of the not-so-friendly Uncle Sam. You will have to have good funds on hand with Global Gold in order to place an order. A wire transfer is usually preferred, but international wires often cost US$50 or more. You need to fill out an actual order form for the precious metals you wish to buy and store in the secure Swiss storage facility. While you CAN enter a “limit order” specifying a price you wish to pay for the coins or bars, it is discouraged as that often will prevent an immediate execution of your order. And since coins and bars do not trade on an exchange with such capabilities as limit orders, there is no guarantee of execution should the price of the underlying metal drop to your “price”. Additionally, just because the price of the underlying precious metal drops momentarily on the spot market does NOT mean that the price of a fabricated coin or even a bar will drop accordingly. Global Gold will supply you with a username and temporary password for you to access your account with them online. We suggest changing that temporary password immediately to a long and complex password that you store securely perhaps in an electronic password “safe”. Global Gold charges storage fees in January for the previous year, prorated, and based on the average value of your precious metals. The fees are charged in CHF. Learn more about paying Global Gold Storage Fees here. The fees are pretty much in line with other similar services; keeping in mind that this is NOT an online buy/sell/store program like BullionVault or GoldMoney. They deal in personal service buying specific coins, bars, etc. The annual fees displayed below cover all storage-related costs, namely high-security storage, logistics, insurance, customs, audits, etc. Global Gold is an excellent way of diversifying your gold, silver and other precious metals ownership. For non-Swiss residents, it provides allocated offshore gold storage in arguably the top jurisdiction for gold storage in the world. Storing gold at Global Gold is not for trading in and out of the gold market, but for safe, secure, insured storage of that portion of your precious metals portfolio that you are comfortable not having close at hand. Nonetheless, you do have relatively fast access to the proceeds from any coins or bars you do sell and can even have your metals shipped to you wherever you specify using secure, insured transport arranged by the staff at Global Gold or you can make your own arrangements. We have met with representatives of Global Gold in person on multiple occasions and trust Global Gold with a portion of our own offshore precious metals portfolio and do not hesitate to recommend them. Then we strongly suggest you take a look at the U.S. based Hard Assets Alliance – you can find our full review here.